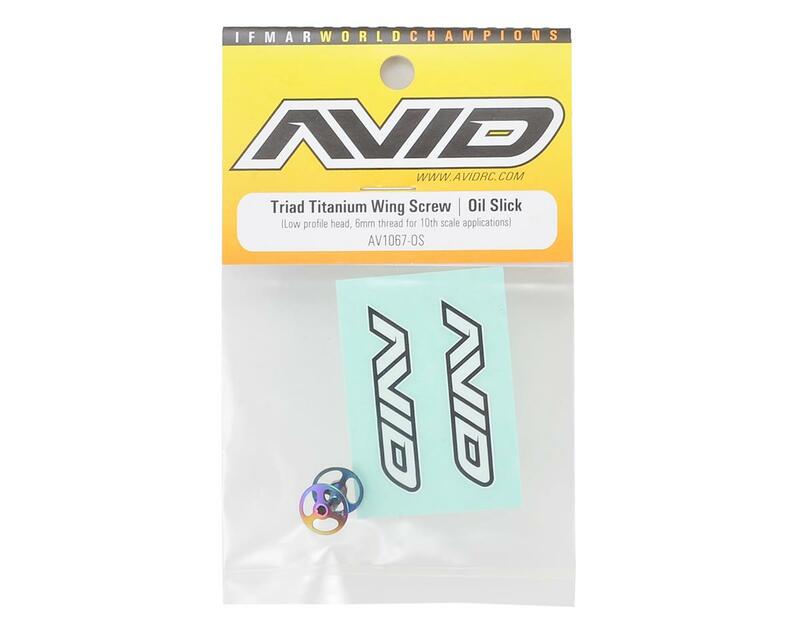 Avid M3x6mm Triad Titanium Wing Screws are a minimal design approach that combines the wing button and screw into one lightweight piece, perfect for 1/10th scale on- and off-road applications. The low profile head is only 1.5mm thick instead of the Avid standard which is 2.25mm. 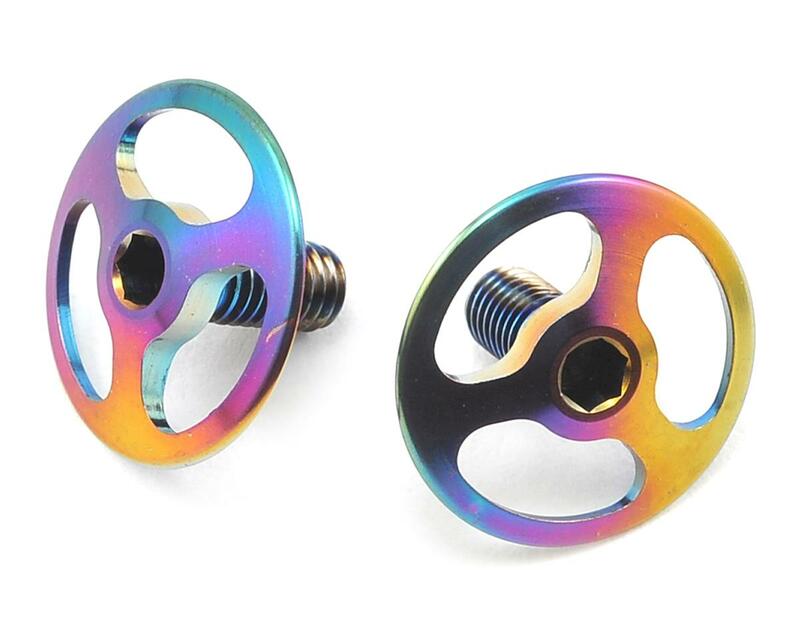 The OD of the button is also reduced to only 12mm from the standard 16mm which allows the Triad Ti Wing Screw to come in at 0.34g each which includes the screw where the standard Triad Wing Button comes in at 0.39g each not including the screw. They work great and look great. Love the one piece design. The only thing - too small. I purchased this and broke after my B6 landed upside down jump in triple jump. Not highly recommended.